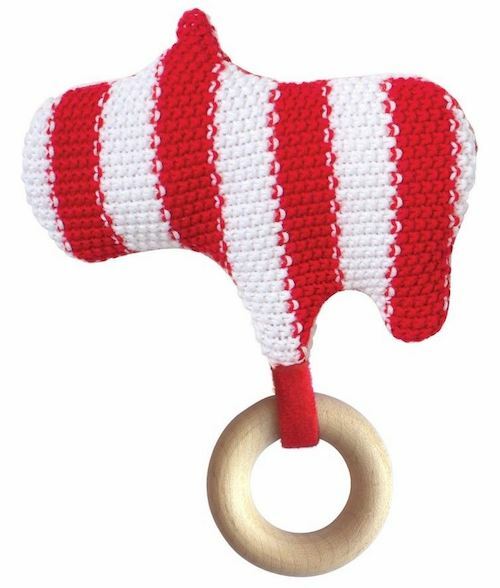 The nubby textured Hippo Knit Baby Rattle is a unique combination of soft fabrics and natural wood. The crochet-like knit swan has a rattle inside for baby to discover, shake and gum. While the natural wood coloured teether ring is great for grasping and teething.